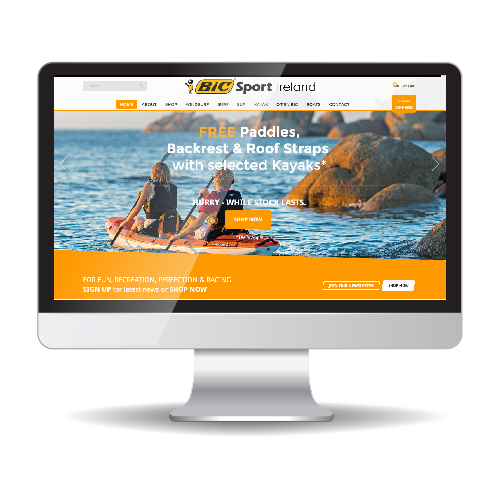 Inview was approached by BIC Sport Ireland to create an eCommerce solution for the Irish franchise of world leading water and board sports BIC Sport . 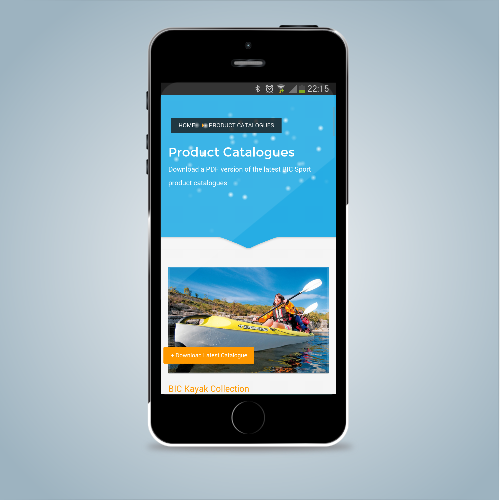 The new site delivers full mobile commerce shopping cart capabilities, displaying over 400 products across 6 sport brand categories. Multiple customer payment options implemented. 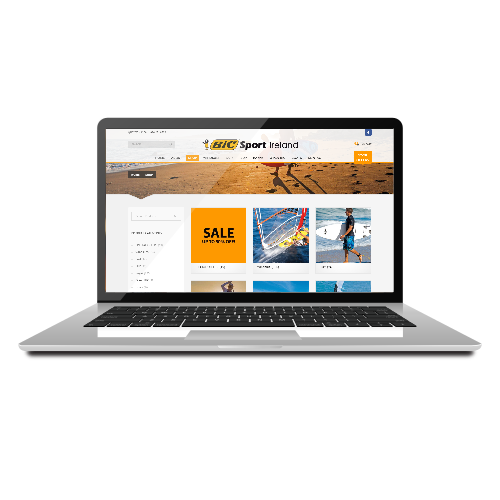 Discounts and promotions are easily executed and managed. A simple to use backend system to enable the client to track stock counts, and automatically stop selling products when inventory runs out. Implementation of tiered shipping rates to cater for variations in size and weight. 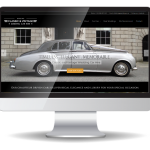 e-Commerce Web Design, Social Media. Product Catalogue Updates.